The HT-88 Helicopter Towbar is designed for Bell Helicopters with 4″ skid tubes and 2″ tow rings, including the Bell 205, 212, 412, UH-1, AH-1 and others. Complete with special safety one-person operation features, the HT-88 towbar eliminates the need for an operator on the stinger. Additionally, the HT-88 towbar has the required clearances when the skids are equipped with snow shoes. 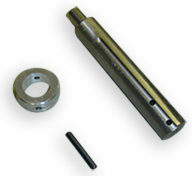 The HT-88 is easy to install and can be disassembled into 6 ft. sections for easy transporting. 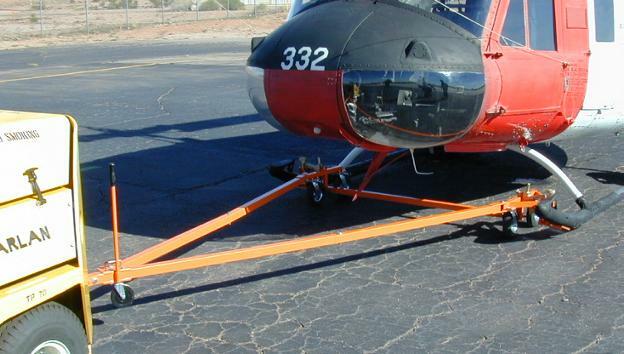 Features orange powder coat for high visibility and durability. Optional colors available. 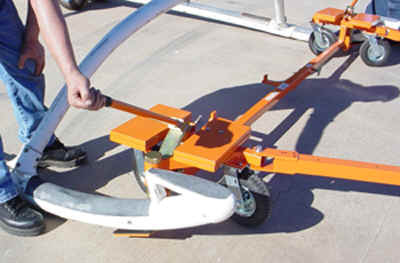 Towbar spreads from 83″ to 114″ widths for different skids.